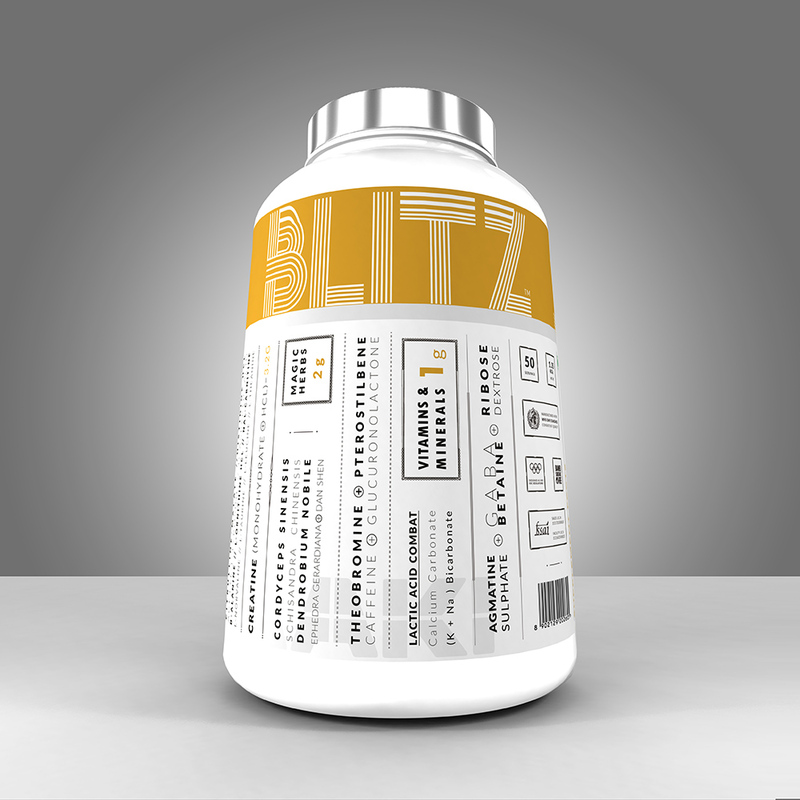 BLITZ is intended to be consumed as an Pre-Workout only. Add 1 scoop of BLITZ in 220 ml of water. Shake well before use. Do NOT consume with milk. Only intended for use by professional athletes. Do NOT consume if training period less than 2 hours per session. Do NOT consume full dose if you have never been exposed any other pre-workout supplement before; start with half dose instead. Do NOT exceed recommended dose (strictly). Overdose may cause nausea / headache / dizziness. Do NOT use in combination with other supplements/pharmaceuticals that are considered to be stimulants. Do NOT use BLITZ for more than 8 weeks of continuous usage. Do NOT consume BLITZ on non-training days. Do NOT consume if exposed to high blood pressure. Discontinue use if you experience any adverse reaction to this product.